We’ve finally set a grand opening date, and it’s February 19, 2017 – put it in your calendars! 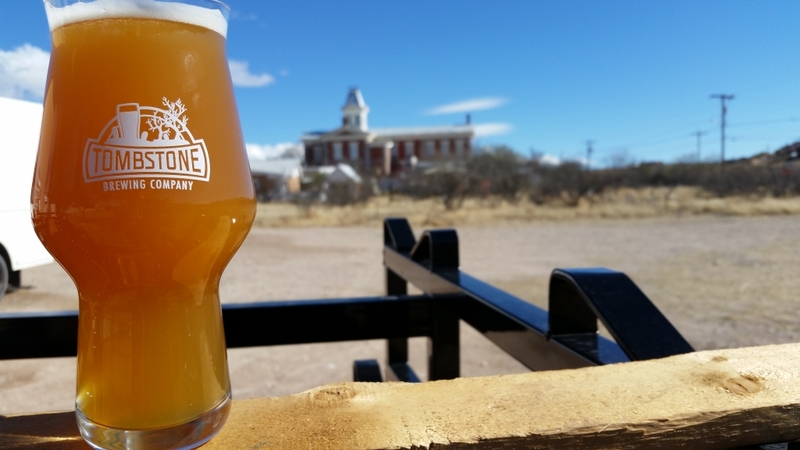 What better way to end Arizona Beer Week than by savoring a hazy, juicy IPA while enjoying this view? After over a year of work, we’ll finally be done with the last few outstanding construction items well in advance of that date. We’ll have all sorts of merchandise available, including our awesome new Craftmaster glasses (pictured above). We’ll also have two new hoppy beers – a hazy, juicy pale ale made with super-fresh hops chosen from a specific, hop-award-winning lot, and a Double IPA with some exciting new hop varieties that people describe as tasting like juicy fruit and Simcoe on steroids. And if that isn’t enough, we will be releasing bottles of our Strong Scotch Ale aged in Islay Scotch barrels, our Imperial Stout aged in Woodford Rye barrels, and a brett beer. 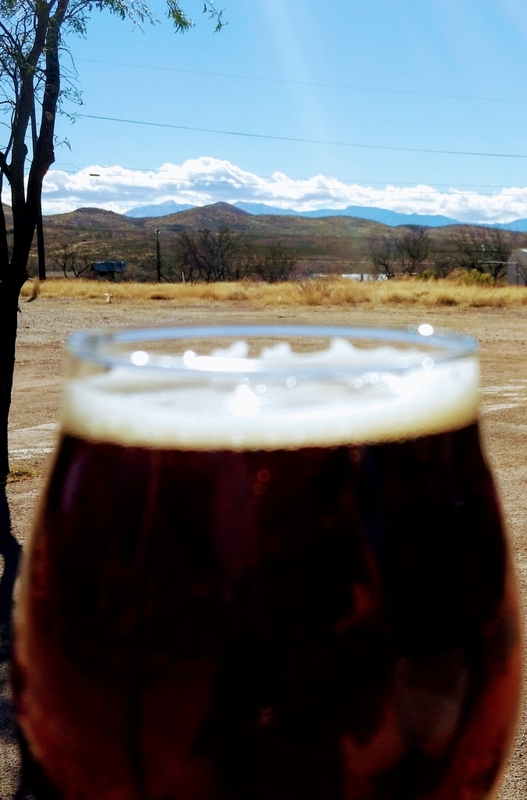 The Scotch beer is unlike anything we’ve ever had both in intensity and complexity. It’s intensely smoky and peaty with massive barrel character complimenting the 11.9% ABV raisiny, bready base beer. Our stout has become even richer and more chocolaty thanks to the rye whiskey barrels, and the brett beer has a rustic farmhouse quality, lightly tart with a noticeable mango flavor. The special blend of yeast strains we chose for the beer did some real magic for us. It might be insane for us to expect you to hoof it down here at the very end of beer week, but you’ll have Monday to recover, as it’s a holiday. 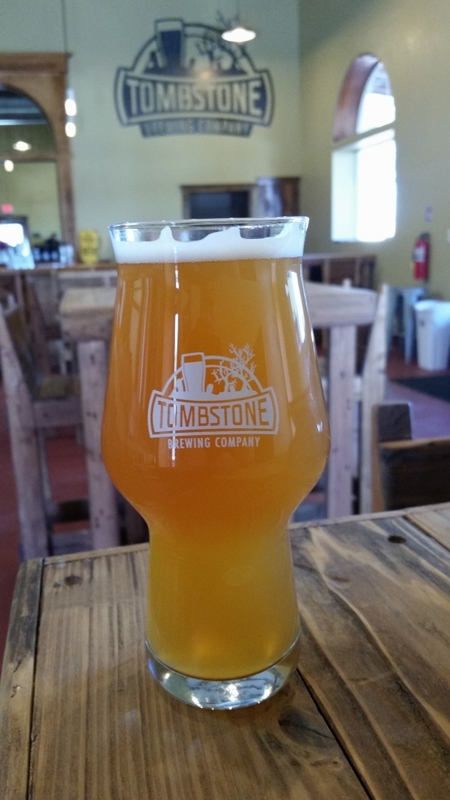 Plus, if three different bottle releases and three hazy hop bombs on draft and available in growlers to go, two of them brand new, aren’t going to justify a trip to drink beer in the Town Too Tough to Die, what will? We even hope to have some especially awesome food available, details forthcoming. Put it in your calendars and keep your eyes out for more news. This may just be the beginning, as it’s possible we’ll have an extra barrel beer or two ready for release by then as well as some additional surprises. Hope to see you February 19th!